Amazon has officially announced the launch of its retail service, Prime Now, in Singapore. It offers free two-hour delivery on grocery items, local favourites, and branded goods with orders of S$40 or more. 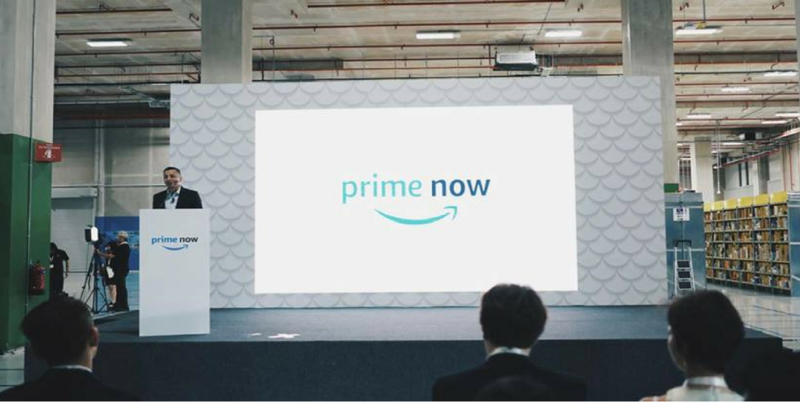 A membership program will begin in Singapore soon with more benefits, as Prime Now is meant to be an exclusive service for Amazon Prime members. For a limited period of time, customers can use Prime Now without a Prime membership. The Prime Now app allows customers to shop for anything from eggs, soft drinks, to baby strollers, diapers, and consumer electronics. Customers can also stock up on their local favourites such as Milo, Tiger Balm, and MamyPoko diapers, and products from well-known brands like Samsung, Philips, and L’Oreal. The Amazon Prime Now service promises free delivery to your doorstep in two hours. For a limited time, shoppers who use their Visa credit card will receive a S$20 discount on their first order using the promotional code, “VISA20“. For those with no Visa card can save S$10 their first order using promotional code “10PRIMENOW“. The Prime Now app can be downloaded from the iOS and Android app stores. Deliveries are available from 10am to 10pm, seven days a week. For orders under S$40, a two-hour delivery costs S$5.99, and a one-hour delivery is S$9.99. Find out more about Amazon Prime Now at www.amazon.com.sg.